Today kicks-off the 2014 FIFA World Cup and what better way to start the worldwide celebration than with a delicious and classic Brazilian cocktail — the Caipirinha. 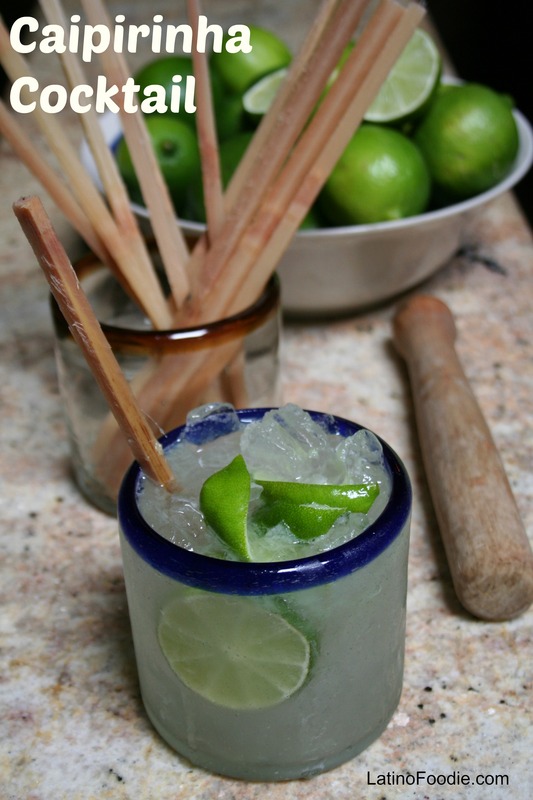 The sugar cane rum, Cachaca, is mixed with a lime and some sugar and poured over ice. Super easy and tasty! Slice the lime into eight pieces and put them in a sturdy tumbler. Add the sugar and crush with a pestle. Pour in the Cachaca and add some ice cubes. We ended up placing the ingredients into a cocktail shaker as if we were making a martini. Once we vigorously shook the cocktail, we took the top off the shaker to allow for the limes and ice cubes to pour into our tumbler glasses that we rimmed with more lime and sugar. Caipirinhas became a favorite when I was in Brazil a few years ago. So refreshing in the hot weather. Thanks for reminding me about such a great drink. I need to make a trip to the liquor store for some Cachaca. Great post, guys!